Virgin Christodouli, and contests with you to the sword. 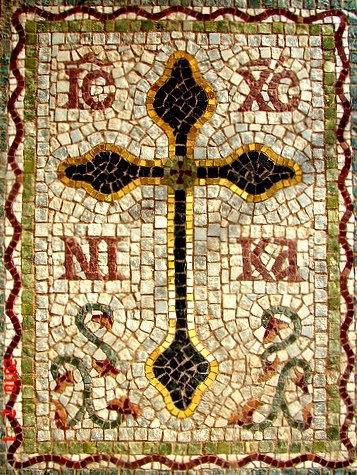 The Holy Martyrs Christodoulos and Christodouli the Virgin met their end by the sword. The following hymns dedicated to the Saints were composed by Monk Gerasimos Mikragiannanites. The two athletes of Christ who contested together, let us celebrate with song Christodoulos as well as Christodouli, the flowers of the faith, who with the wings of divine love, contested with one mind, and destroyed the serpent, and do now entreat, on behalf of our souls. 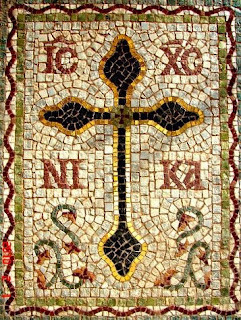 The brave Martyrs, and siblings according to the flesh, the wise Christodoulos, and Christodouli we honor, the instruments of the tyrant, they put to shame, thereby showing, the power of the Crucified One, O glory of Martyrs, as well as boast. Rejoice two-horsed chariot of the Martyrs, blessed Christodoulos, the communicant of champions, rejoice Christodouli, beautiful bride of Christ, revered Virgin Martyr, worthy of wonder.